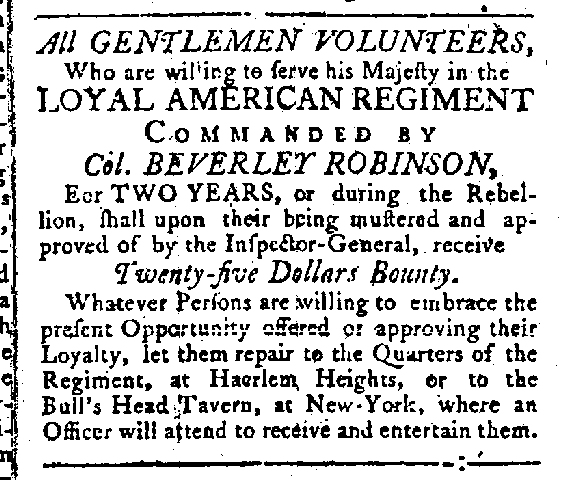 What was a Loyalist in Lenox? It may have been something different than a loyalist in New York or New Jersey where loyalists were more prevalent and the war was more immediate, but there certainly were at least a handful who did not favor Independence. Sometimes called Tories, loyalists opposed breaking with Britain and believed the colonists could best achieve their aims by working with Parliament and continuing to respect the laws of King and Parliament. The “Tory” name referenced the parliamentary party opposed to the Whigs who were more pro-American colonies and eventually moved to grant independence. It has been estimated as much as a third of the population during the Revolutionary War were loyalists and that another third were (at least attempted to be) neutral. Within that two thirds there were a range of motivations and behaviors-as there probably were in Lenox. The majority of loyalists were Episcopalian but the majority of Episcopalians were not loyalists. Episcopal worship was prohibited in many places since the service at the time included a prayer for the health of the King and the American clergy reported to bishops in England. In a (humorous in retrospect) tale of over-reaction the Episcopal rector who conducted services for Lenox during the Revolutionary period was arrested in the middle of a wedding and taken to jail! In fact, some of Lenox’s great heroes were Episcopalian and were quite active in Trinity Church after the Revolutionary War including John Paterson, Azirah Eggleston and Linus Parker. Linus, it is said, led the party that captured Lenox loyalist, Gideon Smith (see below). Men whose wealth and property were closely aligned with the mother country were sometimes – but not always – likely to be loyalists. Wealth did not equate with conservative in this instance. After all, John Hancock, George Washington, Thomas Jefferson and other leaders of the Revolutionary War were wealthy property owners. At one extreme, some loyalists took up arms almost as quickly as the Patriots and were prepared to fight for and with the British and their German and Indian allies making the Revolution a true civil war. Many were formed into units made up entirely of fellow colonists. Some of these loyalist units became almost like vendetta squads operating outside of the supervision of the British command and seeking compensation for land ceased by patriots or to avenge violence visited on their loyalist friends and relatives by the patriots. In other cases – as is likely for poor Gideon Smith – the men branded as “Tories,” may just have been trying to stay neutral. Parliament over-estimated the willingness of colonists to take up arms against their friends and neighbors, but the loyalists were at least a source of manpower and information. 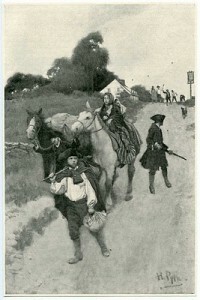 After Independence was declared in 1776 the Massachusetts and other colonies encouraged towns to refuse admission to anyone who was not supportive of the patriot cause and required oaths of allegiance–sometimes (see the story of Gideon Smith below) administered with excessive zeal. There was plenty of arbitrary violence on both sides but this was pretty close to a total war in places like Pennsylvania and New Jersey in that the armies (particularly the British) had to forage for food and fuel. If you were not contributing – manpower, money or food- to the Patriots, you were for all intents and purposes contributing to the English war effort. As part of the peace settlement loyalists (see John Whitlock below) were given the opportunity for exile and 100,000 or more were transported to Canada when the British left the newly independent colonies. John Whitlock of Lenox appears to have been one of the loyalists in active civil war against his fellow colonists. This is a little confusing since records show multiple John Whitlocks. 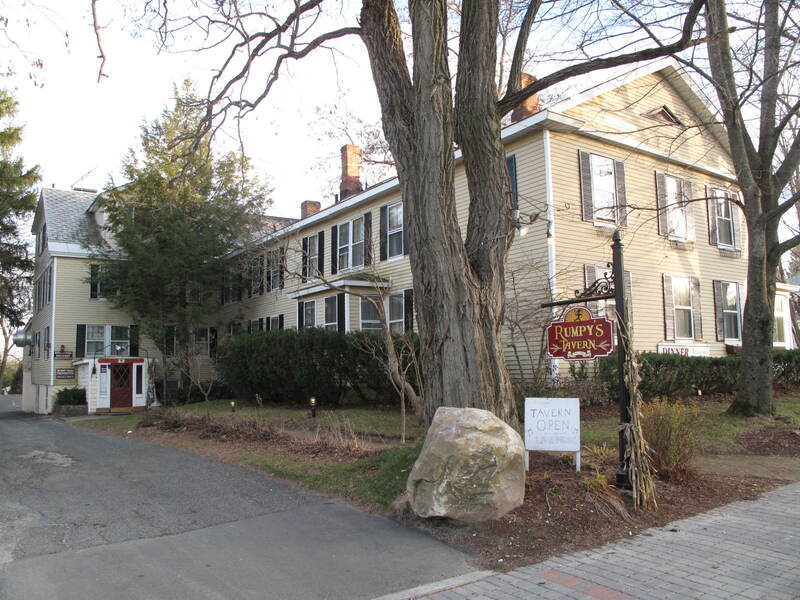 One (probably the son) built one of the earliest homes in Lenox (1771) on the site of the Village Inn on Church Street and owned much of what is now downtown Lenox. He allegedly oined the British army and ended up losing most of his property and leaving for Canada at the end of the Revolution. Another John Whitlock (probably the father) was either neutral or at least willing to take an oath of loyalty to the patriot cause as a John Whitlock donated the land for the original courthouse and was a vestrymen for Trinity Church. Another Tory tale from Lenox involves Gideon Smith who lived at what today would be 406 New Lenox Road. The farm was part of a large parcel that had been sold by Israel Williams to David Sears and then to Gideon Smith in 1761. 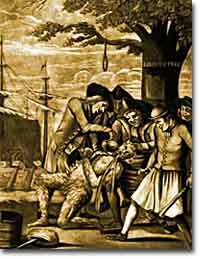 Perhaps it is urban legend but the story is that vigilantes hanged Gideon to choking – several times – until he agreed to the patriot loyalty oath. To avoid further roughing up from the over zealous local patriots, he supposedly hid in Tory Cave on the side of October Mountain. Apparently this is a popular local tale since the 1976 Bicentennial included a float depicted Gideon’s family bringing him food at Tory Cave. It is easy in hind sight to look at the loyalists as the opposite of “loyal Americans” and to have been foolish to have given up life in the new United States. However, loyalists viewed themselves as the real patriots (remaining loyal to the established government–as did the Union soldiers in the Civil War). And the Revolutionary War remained a close thing that could have gone either way up to the end. The segment of the population (perhaps the majority) probably were trying to figure out where the wind was blowing for all eight years of the Revolutionary War.